Madison Hotel Week is the perfect reason to get away in winter! Named as one of the best travel deals from around the globe by The Washington Post, the promotion provides $75, $100 and $125 room rates at some of Madison&apos;s best hotels. But reduced hotel rates aren&apos;t the only reason to find yourself in our capital city. Between our award-winning dining scene, first-rate live performances and spirited college sporting events, there is no shortage of things to do in Madison. 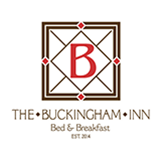 Check out hotel descriptions, rates and contact information below. Once you&apos;re ready to book, just follow each property&apos;s instructions! Experience Madison from the only hotel on the Capitol Square—Park Hotel. Enjoy dinner and drinks at our full service restaurant and bar. Our indoor heated pool and modern fitness center are perfect for fun or fitness and you&apos;ll be in the middle of non-stop excitement with dozens of shops, bars, restaurants and museums right outside our doors. Free Wi-Fi will keep you connected and our Premier service will make you feel right at home..
Cambria Hotel on Madison&apos;s East side is where style, form and function meet. Feel at home with endless amenities including wireless Internet, flat-screen televisions, a state-of-the art fitness center, indoor pool, spa and barista bar. Unwind at the end of the day in our open and airy environment. CALL 608.831.6970 AND MENTION MADISON HOTEL WEEK. At Country, hospitality is more personal. A welcoming smile, breakfast on a real plate, a complimentary Wi-Fi connection to those you love. Take a dip in our pool, relax in the hot tub or catch up on some work in the business center. Enjoy the comforts that make you feel like family. 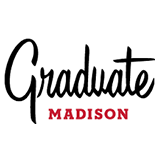 Graduate Madison is nestled between the bustling shops and stops on State Street and the majestic Capitol Square—the perfect spot for any campus visit, company meet up or place to pop by for a fresh pressed juice, signature brew or inspired rooftop view. Our rooms are ready for a night like you’ve never had before, where little moments of surprise and discovery will meet you down every corner. This is Graduate—get ready to be inspired!. 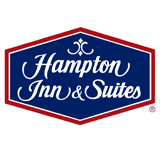 Located in the heart of downtown Madison adjacent to the University of Wisconsin, the Hampton Inn & Suites Madison Downtown is your winter oasis for fun! 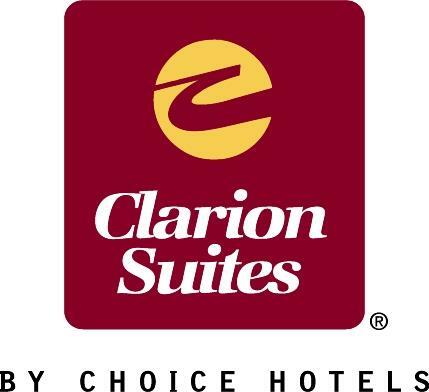 Enjoy our free hot breakfast, free Wi-Fi, luxurious pool & whirlpool, on-site restaurant and award-winning service! All backed by our 100% Satisfaction Guarantee. 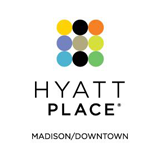 Discover a different kind of place, designed around you at Hyatt Place Madison/Downtown. Stay in a walkable neighborhood and connect with the vibrant energy of Downtown Madison. Amenities include complimentary fitness center, Wi-Fi, on site bar and food available 24/7. 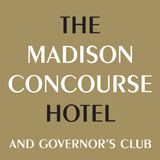 Madison’s premier hotel is located in the heart of downtown near the State Capitol, State Street, Overture Center and the UW campus. The Concourse is offering two rates for guests: $125.00 for a stay in the Premier Level rooms, and $199.00 for the Governor’s Club Level rooms, located on the top three floors and featuring the 12th floor capitol view private lounge. Dates based on availability. The Radisson Hotel Madison is a beautiful property on the west side of Madison, boasting 153 newly updated rooms, a full service bar and restaurant and complimentary breakfast, as well as an indoor pool and hot tub, fitness center and business center. Located near many excellent amenities including shopping and excursions, you&apos;ll never be bored while visiting! Relax in classic elegance at this stunningly restored 1911 Arts and Crafts-style residence convenient to the UW campus. A Historic Preservation Award winner, and cited nationally as one of 10 stylish cutting-edge boutique inns! Large, beautifully-tiled baths feature jetted tubs and multi-head showers. Savory complete breakfasts included. Guest room rates include spacious studio suites and two queen suites with sofa sleepers. Enjoy a variety of amenities, including: complimentary hot breakfast buffet, complimentary social hour Mon–Sat from 5 pm–6:30 pm, complimentary Wi-Fi, 24-hour business and fitness center, indoor pool and whirlpool and a complimentary airport shuttle from 7am–10pm. This property is connected to the Alliant Energy Center Exhibition Hall through a climate controlled walkway and a complimentary shuttle is also available to and from the Monona Terrace and within a 3-mile radius of the hotel. 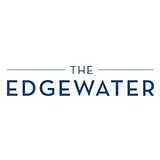 Located in the heart of downtown Madison, next door to the University of Wisconsin-Madison, and within walking distance of the Capitol Square and downtown, The Edgewater Hotel in Madison, Wisconsin serves as an urban resort steps away from eclectic shops and Madison institutions that make the downtown scene so vibrant.We offer 202 rooms and the finest in luxury hotel services and amenities, and you’ll be mesmerized by our legendary and breathtaking location on the water’s edge of Lake Mendota, which is visible from a large variety of viewpoints and venues throughout the hotel, including most of the elegant guest rooms. 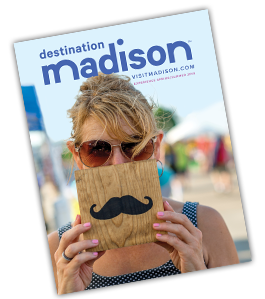 Enjoy the Madison Area from one of the city&apos;s favorite suburbs! Take a stroll down Mount Horeb’s historic main street, enjoy fine dining and shopping and snap a picture with your favorite wooden troll! With easy access to Madison, and that small-town charm, you&apos;ll have a truly unique experience at the GrandStay Hotel & Suites, Mount Horeb-Madison. The award-winning Holiday Inn Express and Suites – Madison Central is located near everything that downtown Madison has to offer. The hotel provides a complimentary shuttle service within a 3 mile radius. Enjoy a complimentary hot breakfast buffet and relax in their indoor salt water pool. There’s no place quite like Madison. And, there’s no place to stay that’s as uniquely Madison as the one-and-only HotelRED. 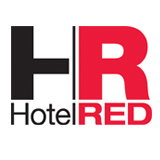 As the city’s first boutique hotel, HotelRED has consistently set the standard for customer service and outstanding local hospitality. The Magnuson Grand Hotel is a 100 room property with recent updates to our guest rooms. We pride ourselves on our exceptional customer service, with a very home-away-from-home atmosphere. We are right around the corner from Madison&apos;s only casino in which we offer $10 free play upon check in! We look forward to your arrival!